It is a truth universally acknowledged, that a parent in possession of a good baby, must be in want of 10 minutes of peace to make and drink a cup of coffee. (That's how I remember the opening line to Pride and Prejudice. Why? Do you remember it differently? hmmmm). Thankfully we will not need an entire novel to answer that question. Here the answer is quite simple - a play mat! Once a baby becomes alert to his or her surroundings (sometime time between 4-6 weeks) they really like to bat and kick at toys hanging over their heads. They aren't mobile yet at that age, so by placing a play mat on the floor, it is a safe place to leave them and have them be entertained while the parent accomplishes a simple task (choose wisely how you want to spend your time, it is not infinite). The truth is that there are many excellent play mats out there. We have Tiny Love Lights and Music Gymini Activity Gym . It folds up small so it can be put away in the closet. It has some parts that squeak or crinkle if you press on them, which is fun for babies once they start doing tummy time. It has a mirror for baby to look in, which is always a favorite for tiny tots. Most importantly, the toys that hang look down on the baby. For some reason many play mats fail on this criteria (I'm looking at you Skip Hop Treetop Friends Activity Gym ). Many such mats have toys that only look cute if you're looking from the side, the way an adult might and thus looking pretty lame from the baby's perspective. 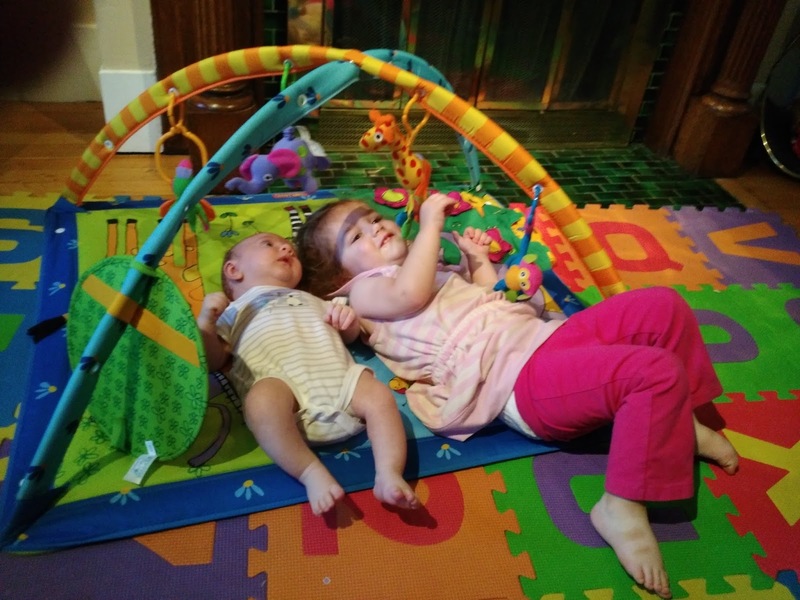 And finally, the toys can come on and off the arches and attach easily to other things (like stroller straps) so if a child grows attached to one or more, they can play with it much longer than the lifespan of a mat like this. It's a fantastic toy to have around for the first 6 months of life with a baby, but it's also a great thing to borrow from friends who have children of a different age than you. Now stop reading this and go have that drink while it's still hot!